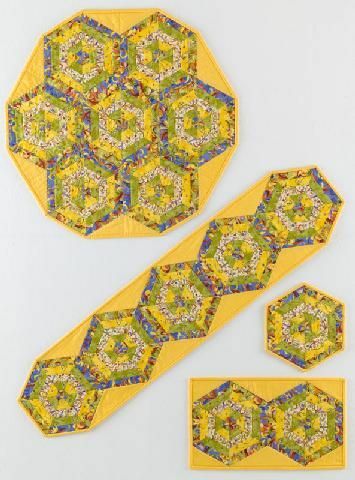 A fabulous fat quarter project that is quilted as it is assembled. Focus is on pressing to nest seams to achieve more accuracy in matching points. There are several options for completed projects: place mats, table runners, hotpad/trivet, or a table centerpiece. 60 degree triangle ruler needed to complete project. Rulers are available on our website.